Whelp, I turned 26 a few months ago. I have never been one to set "Resolutions" or specific goals for an upcoming year, but for some reason things are starting to feel different. I wonder if this is a part of growing up. This time around, I would like to make it a goal and do more around the State of Texas, and celebrating my 26th birthday was the ideal starting point. Since my friend had recently moved up to Austin and there was a concert I really wanted to attend the weekend of my birthday, the first destination was a given. Now, I'll be honest Austin never really caught my attention but it has definitely been growing on me, and after that weekend I have learned to enjoy it. We will start with this series with FOOD because that is always important. Waterloo Icehouse (360/Capital of Texas Hwy)- We were looking for something where we could just relax, catch up and plan the rest of our weekend, and decided to stop by Waterloo Icehouse. The place was perfect for that, it wasn't crowded and our food was quickly served, the only downfall was that my friend was really looking forward to having sweet potato fries and they didn't have any. Although, our waitress did let us know as soon as possible and suggested we get the onion rings, which were delicious! The restaurant also had an outside area with a play area for younger kids and tables for adults to just hang out. It is a place we would go back to when looking for something more casual and some great food. Kerbey Lane Cafe (Southwest) - The following morning we went to an Austin favorite. Kerbey Lane Cafe. This is a place that I had visited in the past for dinner, but I was looking to all of their breakfast options. 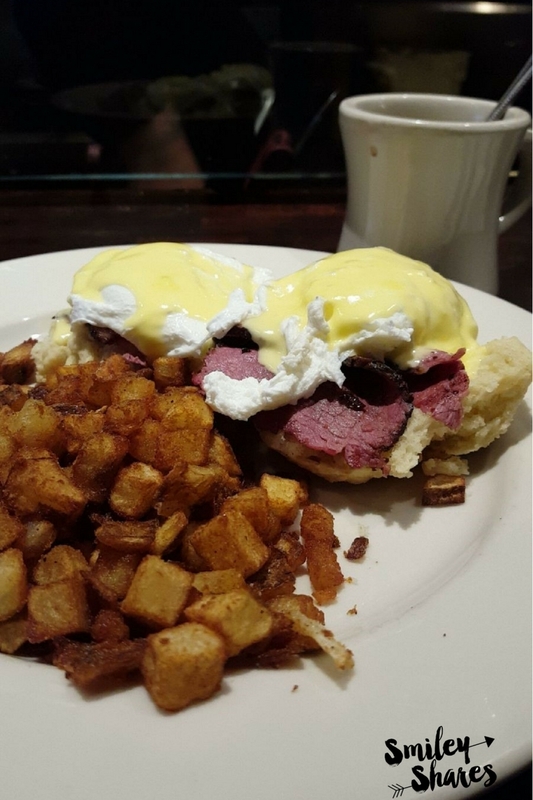 One of the great things about Kerbey Lane is that they offer a variety of comfort foods and healthy alternatives. I ordered their Breakfast Platter with fruit and their "Weekly Special" pancake selection. I honestly don't remember which one it was, I just know that it had bananas in it. Everything was delicious and filling. 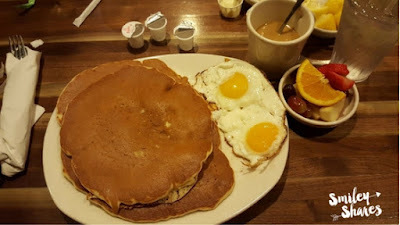 As you can see in the photo, the pancakes were huge! We ended up taking one with us on the hike to Enchanted Rock that day. Z'Tejas (6th Street)- My friend made reservations at Z'Tejas a few days earlier during the week. We were running late arriving at the restaurant and decided to give them a heads up. They suggested moving the reservation 30 mins to give us some time without us rushing. We got there in time, and the place was crowded, it was graduation weekend after all. Thankfully we did not wait too long, they had our table ready in less than 10 minutes. Shortly after ordering, my friend had to leave for a quick emergency and I stayed at the restaurant on my own. The waiter was very understanding and asked if I wanted him to hold off on our plates until she arrived. My friend arrived, and we received our order, everything was delicious. 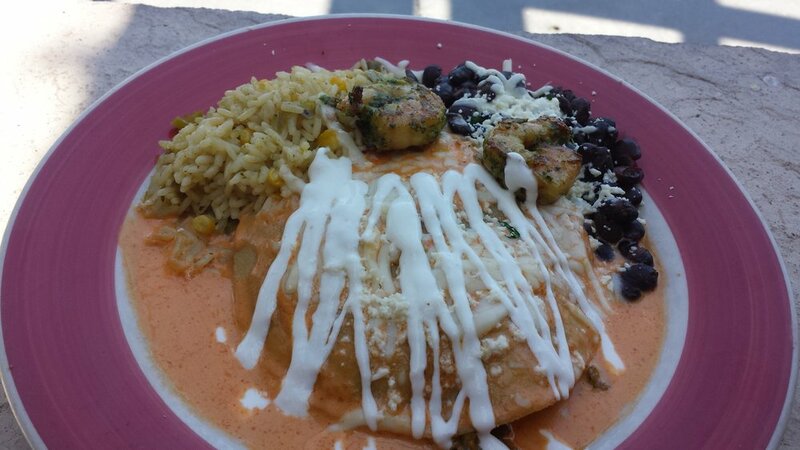 I selected the Baked Seafood Enchilada, and it was beyond amazing, the roasted red pepper sauce was the highlight of the dish. Credit: Z'Tejas Menu Website "Baked Seafood Enchilada"
Counter Cafe- Ah, the Counter Cafe was quickly added to one of my favorite breakfast places. We came across this place by doing some online search. I am glad we took the time to do that, otherwise, we would have missed it. The location is small and can easily be missed, we even had to do a turnaround because we passed the entrance. My friend and I were able to sit on the counter and watch all the action take place in the kitchen. I order the Eggs Benedict, and although I fell in love with the whole plate their potatoes were my favorite, they were crispy and seasoned just right. I wanted to take some home with me. Now, the Counter Cafe is just a couple of blocks from 59 Diner another well received placed in the Austin area and one that we tried going to a few months back, however they told us the wait would be an hour +, I personally believe the Counter Cafe can be an alternative for those going alone or with small parties, and you don't have the time for the long waits. I will always try to make my trips filled with new places, and new foods, but honestly I wouldn't mind visiting these again. Places where I know the food is great and the service is even better. 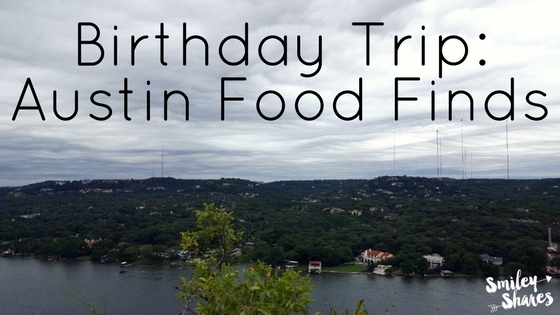 I hope this list helps you next time you plan your trip and restaurant visits, in Austin area.